Table 1. Descriptive statistics of variables related to Parkinson's disease and independent and control variables: Madrid, 2008-2009. Table 2. Relative risks for an increment of 1dB(A) in daily diurnal noise levels and daily nocturnal noise levels with attributable risks. For Tcal, relative risk and attributable risk for every increment of 1°C in cases where the daily maximum temperature surpassed the threshold of 34°C. To analyse whether there is a short-term association between road traffic noise in the city of Madrid and Parkinson's disease (PD)-related demand for healthcare. Time-series analysis (2008–2009) using variables of analysis linked to emergency and daily PD-related demand for healthcare (ICD-10: G20–G21), namely, PD-hospital admissions (HAs), PD-outpatient visits (OVs) and PD-emergency medical calls in Madrid. The noise pollution measurements used were Leqd, equivalent sound level for the daytime hours (from 8 a.m. to 10 p.m.), and Leqn, equivalent sound level for night time hours (from 10 p.m. to 8 a.m.) in dB(A). We controlled for temperature, pollution, trends and seasons, and used the Poisson regression model to calculate relative risk (RR). The association between Leqd and HAs was found to be linear. Leqd and Leqn at lag 0.1 and temperature at lags 1 and 5 were the only environmental variables associated with increased PD-related healthcare demand. The RR (lag 0) for Leqd and HA was 1.07 (1.04–1.09), the RR (lag 0) for Leqd and OV was 1.28 (1.12–1.45), and the RR (lags 0.1) for Leqn and emergency medical calls was 1.46 (1.06–2.01). The above results indicate that road traffic noise is a risk factor for PD exacerbation. Measures to reduce noise-exposure levels could result in a lower PD-related healthcare demand. Analizar si existe una asociación a corto plazo entre el ruido del tráfico en Madrid y la demanda de asistencia sanitaria por enfermedad de Parkinson (EP). Análisis de series temporales (2008-2009) utilizando variables de demanda sanitaria urgente y diaria por EP (CIE-10: G20-G21): admisiones hospitalarias (AH), visitas ambulatorias (VA) y llamadas médicas (112) en Madrid. Los indicadores de ruido fueron Leqd (nivel de ruido diurno equivalente, de 8 a 22h) y Leqn (nivel de ruido nocturno equivalente, de 22 a 8h) en dB(A). Se controló por temperatura, contaminación, tendencias y estacionalidades, y se realizó regresión de Poisson para calcular el riesgo relativo (RR). La asociación entre Leqd y AH por EP es lineal. Leqd y Leqn en el retardo 0,1 y la temperatura en los retardos 1 y 5, fueron las variables ambientales asociadas con el aumento de la demanda sanitaria. Se obtuvo un RR (lag 0) para Leqd y AH de 1,07 (1,04-1,09), y un RR (lag 0) para Leqd y VA de 1,28 (1,12-1,45). El RR (retardos 0,1) para Leqn y llamadas al 112 fue de 1,46 (1,06-2,01). Los resultados apuntan que el ruido es un factor de riesgo para la exacerbación de la EP. Las medidas para reducir la exposición al ruido podrían dar lugar a una menor demanda de asistencia sanitaria relacionada con la EP. The analysis proposed in this study was to explore whether a short-term association could be established between urban road traffic noise in the city of Madrid and PD-related demand for health care, i.e., whether daily exposure to noise exacerbated PD sufferers’ demand for health care. Its relevance is evident, since this would not only lead to the identification of an environmental risk factor for PD to which the most of the inhabitants of a large city are generally exposed, but knowledge of it would also enable the necessary prevention measures to be introduced. In Spain, many prevalence studies focused in PD have been carried out. The results of prevalence obtained vary between 150 and 1500/105 inhabitants. The mean prevalence of EP in Spain is 682.2/105 with CI (127.4/105-1491.7/105). The city of Madrid is a densely populated metropolitan area situated in the central region of Spain. During the period 2001-2009, it had a mean population of 3,116,897 and of this total, 284,929 persons (9%) were aged 75 years or over. Number of daily PD-related emergency hospital admissions (PD-hospital admissions) to municipal hospitals in Madrid, drawn from the Minimum Basic Data Set compiled by the Ministry of Health, Social Services and Equality. Number of daily PD-related ambulatory visits (PD-ambulatory visits) to primary care centres in Madrid, obtained from the Madrid Regional Inland Revenue Authority. Number of daily PD-related emergency medical service calls (PD-medical calls) made in the city of Madrid. Data furnished by the Madrid Regional Medical Emergency Service (SUMMA 112). Number of daily deaths due to PD (PD-mortality) (ICD-10: G20-G21) in the city of Madrid from 01-01-2001 to 31-12-2009, based on data furnished by the National Statistics Institute to the Carlos III Institute of Health (Ministry of Economic Affairs and Competitiveness). As described in detail elsewhere,5 the main independent variables of analysis were Leqd, equivalent diurnal noise level (from 8 to 22h), and Leqn, equivalent nocturnal noise level (from 22 to 8h), in dB(A), used as measures of acoustic pollution. These data were supplied by the Madrid Municipal Air Quality Monitoring Grid (http://www.mambiente.munimadrid.es/). This network consists of 27 urban background stations across the city. To estimate daily mean noise levels, we first averaged each monitor's daily level and then computed a city-wide average for all these monitors on any given day. The reasons of the data period chosen for the analysis are: first, a change in the geographical location of the monitors of noise and pollutants levels belonging to the Madrid's Air Quality Monitoring Grid since year 2010; second, the different data sources of the PD variables considered: Madrid Regional Inland Revenue Authority, Madrid Regional Medical Emergency Service and Ministry of Economic Affairs and Competitiveness; make the period 2008-2009 was the only period of time to analyse the data. In view of the fact that other studies have linked PD to urban air pollution11 and even to high temperatures during heat waves,5 we controlled for these environmental variables. Daily mean concentrations (μg/m3) of chemical air pollutants −particulate matter less than 2.5 and 10μm in diameter (PM2.5 and PM10), tropospheric ozone (O3) and nitrogen dioxide (NO2)− were also supplied by the Madrid Municipal Air Quality Monitoring Grid. Maximum daily temperature (°C) in Madrid were all furnished by the State Meteorological Agency. We controlled for linear trend, seasonality and the autoregressive nature of the series itself. Day of the week was also added as a covariate. To assess whether there might be a functional relationship between noise levels and PD, and if so of what type, we plotted scatterplot diagrams. These diagrams furnish information on the type of relationship that exists (linear or otherwise) between admissions and mortality during the period analysed. In these diagrams, the value of mortality or the value of PD-related admissions corresponds to the mean value taken by this variable for each 0.5 dB(A) interval between the minimum and maximum values of Leqd/Leqn. where Tcal is the variable that determines the existence of the effect of a heat wave on PD-related morbidity and mortality. Given that the effect of a heat wave on PD may not be immediate, the following lagged variables were calculated: Tcal (lag 1), which takes into account the effect of the temperature on day “d” on mortality, one day later, “d+1”; Tcal (lag 2), which takes into account the effect of the temperature on day “d” on mortality, two days later, “d+2”; and so on successively. The number of lags were selected on the basis of the literature, which establishes that the effect of heat on morbidity and mortality is short-term (Tcal: lags 1-5)14. Insofar as noise-related variables were concerned, since earlier studies undertaken in Madrid had reported short-term associations between noise and morbidity/mortality until lag 7 the variables Leqd and Leqn were introduced into the models with lags of up to 7 days. A similar approach was taken in the case of the variables of chemical air pollution (PM10, PM2.5, NO2 and O3)15. The study design corresponds to an ecological time series studies of short-term associations compare the outcome (PD-variables) and exposure series (environmental factors). The main methodological issues in this approach are selection of smoothing methods for the decomposition of the series, the presence and estimation of delayed effects and the potential confounding by other time-varying factors. Generalised linear models (GLMs) were constructed with the Poisson regression link. This enabled us to obtain the estimator needed to calculate the relative risk (RR) for increases of 1 dB(A) in Leqd and Leqn levels. Based on the RR, we then computed the attributable risk (AR) associated with this increase by means of the following equation: AR=RR−1/RR.16 Significant environmental variables were determined using the backward stepwise procedure, beginning with the model that included all the explanatory variables, and gradually eliminating those which individually displayed least statistical significance, with the process being reiterated until all the variables included were significant at p <0.05. The RR and AR values were calculated for increases of 1dB(A) in the case of Leqd and Leqn5, and 1°C in the case of Tcal17. All analyses were performed using the IBM SPSS Statistics 22 and STATA v 11.2 statistical software programmes. Table 1 shows the descriptive statistics for the different health variables linked to PD-related demand for health care, along with the variables relating to acoustic pollution, chemical pollution and temperature, measured daily in the city of Madrid across the period 2008-2009. Descriptive statistics of variables related to Parkinson's disease and independent and control variables: Madrid, 2008-2009. Leqd: equivalent diurnal noise level (from 8 to 22h); Leqn: equivalent nocturnal noise level (from 22 to 8h); NO2: nitrogen dioxide; O3: tropospheric ozone; PM2,5: particulate matter less than 2.5μm in diameter; PM10: particulate matter less than 10μm in diameter; PD: Parkinson's disease; SD: standard deviation. Daily PD-related mortality across the period 2001-2009. With respect to environmental noise levels during the study period, the WHO18 diurnal threshold noise level (Leqd) of 65 dB(A) was exceeded on 170 days, i.e., 23.2% of days, while, the WHO nocturnal guideline noise level (Leqn) of 55 dB(A)18 was exceeded on 731 nights, i.e., 100% of nights. Figure 1 shows the functional relationship between Leqd levels and daily PD-hospital admissions (scatter-plot diagram). As will be seen, the relationship was linear, without any specific threshold. With an r-squared value of 0.826 and an F coefficient of 52.335, linear adjustment was significant at p <0.0001. If, instead of total linear adjustment, adjustment is made using the LOWESS method and 70% of the points, Figure 2 is obtained, from which it will be seen that daily diurnal noise had its greatest effect on emergency PD-hospital admissions at values ranging from 62 to 65 dB(A), i.e., levels lying below the WHO guideline values. Scatter plot with linear fit between daily PD-hospital admissions and daily diurnal noise levels (Leqd). O: observed;− linear fit. Scatter plot between daily Parkinson disease hospital admissions and daily diurnal noise levels (Leqd) with lowess fit (70%). Excluding the variables of control, trend and seasonality, the independent variables which registered a statistically significant association (p <0.05) with the PD variables analysed are shown in Table 2. Relative risks for an increment of 1dB(A) in daily diurnal noise levels and daily nocturnal noise levels with attributable risks. For Tcal, relative risk and attributable risk for every increment of 1°C in cases where the daily maximum temperature surpassed the threshold of 34°C. AR: attributable risk; 95%CI: confidence interval of 95%; Leqd: equivalent diurnal noise level (from 8 to 22h); Leqn: equivalent nocturnal noise level (from 22 to 8h); PD: Parkinson's disease; RR: relative risk. Variable that determines the existence of the effect of a heat wave on PD-related morbidity and mortality. In the case of the variables of PD-related demand for health care, no variable of chemical air pollution proved significant for any of the three health-care causes analysed. Only the variable Tcal showed a statistically significant association at lags 1 and 5, in the case of PD-hospital admissions, with an RR of 1.13 (1.03- 1.23). Daily diurnal noise levels were significant at lag 0 in the case of PD-hospital admissions and PD-ambulatory visits; and daily nocturnal noise levels were significant at lags 0 and 1 in the case of PD-medical calls, with a joint RR of 1.46 (1.06-2.01). As is clear from Table 2, noise levels (Leqd and Leqn) were the only variables in the three causes which were linked to PD-related demand for health care. Furthermore, it was noteworthy that only the variable Tcal −in this case at lag 3− was related to daily PD-mortality. In terms of lag times between any given cause and its effect on PD, the effect of noise was seen to be immediate −invariably at lags 0 and 1− whereas the effect of heat waves extended until lag 5 in the case of PD-hospital admissions. From a quantitative point of view, the effect of noise on the variables of PD-related health care showed that for every dB(A) that noise levels in Madrid fell, daily PD-hospital admissions decreased by 6.2%, PD-ambulatory visits decreased by 21.6%, and PD-medical calls decreased by 31.4%. Our study design, i.e., ecological time-series analysis, has novel features with respect to the methodology used by the few studies that have analysed the relationship between environmental factors and PD10,11. In the latter, exposure to the environmental factor, traffic-related pollution, remained constant throughout the study period, something that acted as a bar to detecting the temporal effect of the incidence of the pollutant on PD. This methodology is appropriate if the aim is to show the relationship between the disease and a possible environmental origin. When it comes to demonstrating that the short-term effect of a given environmental factor can exacerbate the symptoms of a disease, however, time-series analysis has shown itself to be especially useful, since it allows one to establish the time window between cause and effect. Moreover, as regards exacerbation of specific health events, this methodology has demonstrated its usefulness in earlier studies which addressed adverse birth outcomes and road traffic noise19 and PM2.5 concentrations and heat-wave temperatures17. Of the environmental variables shown in Table 1, this study is concerned solely with daily noise generated in Madrid, essentially by road traffic, since the relationship between PD and heat-wave temperatures has already been the subject of publication.5 Despite the fact that analysis of the chemical air pollutants showed no short-term relationship between increased concentrations and the PD variables considered, the existence of research linking PD to traffic11 rendered it advisable for these to be introduced as control variables. The Leqd values in Table 1, which exceeded the WHO guideline value18 on 23.2% of days, show road traffic noise to be an important public health problem in Madrid. It should be noted that four PD-related variables were selected for study purposes, three relating to demand for health care and one relating to mortality. As indicated in the Methods section, the data for each of these health variables were drawn from a different source, so that the results obtained minimise the bias which might have otherwise resulted from using a single data source, something that lends robustness to the results. Of the 4 variables considered, daily PD-hospital admissions registered the highest mean value, which is why this variable was chosen for plotting the scatterplot diagrams in Figures 1 and 2. Figure 1 indicates that the relationship between diurnal noise (Leqd) and PD-hospital admissions is linear, without any specific threshold, i.e., any increase in noise levels would be associated with an increase in PD-related admissions. This functional relationship between noise and health indicators has been previously observed in the case of hospital admissions, respiratory-cause and circulatory-cause mortality, and noise and adverse birth outcomes20. Furthermore, Figure 2 shows that the slope of the association between Leqd and PD-hospital admissions was most pronounced in the 62-65 dB(A) range, i.e., values traditionally deemed by the WHO18 to be “safe” for the protection of health. From a qualitative standpoint, a number of conclusions can be drawn from Table 2. Firstly, road traffic noise is the only environmental variable that displays a statistically significant association (p <0.05) with the three health-care indicators analysed, though not with PD-related mortality, where the sole environmental variable to show an association was heat-wave temperature5. A further qualitative conclusion to be drawn from Table 2 is that the variables of chemical air pollution are not related in the short term to PD-related exacerbations or mortality. The results obtained by a recent Danish study11, based on a case-control analysis of subjects who had lived in the same place for over 20 years, reported a relationship between exposure to traffic and risk of PD, which was more marked in the capital city than in provincial towns, with no evidence of an association among rural residents. It would therefore seem that chemical air pollution produced by road traffic may be related to prevalence of the disease but not to the short-term effects that such urban chemical pollutants can have. This result would also support the view that the health effects caused by road traffic noise are independent of those caused by chemical air pollution21. With regard to the biological mechanism whereby road traffic noise manages to exacerbate PD cases to the point of their requiring health care, attention should be drawn to the paper by Recio et al.12 Its authors propose an integrative model which explains the relationship between noise and its ensuing stress reactions in the organism, and how such stress affects respiratory, circulatory and endocrine diseases. This integrative model accounts for the two types of associations between road traffic noise and various adverse effects and diseases reported by the most recent noise research: firstly, those in which noise levels are considered constant predictors, i.e., assumed not to vary over time and thus liable to cause chronic stress22,23; and secondly, those investigated in the most recent time-series studies,20,22,23 whose results indicate that road traffic noise can also have acute effects on health. Environmental stressors could be related to the development and worsening of neurodegenerative diseases, as described by Linares et al.24 for dementia-related hospital admissions, in which, aside from personal predisposition (genetic factors) and ageing, extrinsic factors (e.g., toxins, pollutants, infections) also play a role. The mechanisms whereby stressors could accomplish their harmful effect would presumably be vascular lesions, inflammation, compromised immune responses, alterations in the disease-specific protein, and others able to alter the homeostatic pathways of especially vulnerable neuronal subpopulations and glial cells.25–27 From a quantitative point of view, note should be taken of the high AR values for PD-ambulatory visits and PD-medical calls, due to the paucity of such services, as shown in Table 2. Furthermore, the AR for PD-hospital admissions (6.2%) was similar to that found for the effect of heat-wave temperatures on PD5. Comparison of this value to those obtained for emergency admissions due to diurnal noise shows it to be slightly higher than the values attributable to all causes (AR=5.1%), circulatory causes (AR=4.2%) and respiratory causes (AR=3.7%) reported by studies also undertaken in Madrid,15 though these differences are not statistically significant. With respect to the limitations of this study and any possible resulting biases, the following should be mentioned: firstly, an ecological study such as ours does not permit inferences to be made at an individual level for fear of the ecological fallacy arising as a result of the use of pooled data. Furthermore, when it comes to methodological limitations, mention should essentially be made of those inherent in a statistical method that works with a high number of variables at a 95% confidence level. On the other hand, an acknowledged limitation of all studies of environmental data is that measurements from stationary outdoor monitors may not represent individual exposures, though relatively crude, ambient measures are often the most feasible measure of exposure in terms of cost and burden to the study participant. No specific validation was carried out to assess the representativeness of spatial variability in air pollutants: our study suffered from Berkson-type measurement error, including, among others, bias associated with ecological exposure, as is common in most time-series studies, which leads to no or little bias but nevertheless decreases statistically power. Not only do air-pollutant concentrations have different spatial distributions, but the degree to which outdoor levels reflect indoor levels also varies. This leads to different degrees of measurement error and, thus, of power for each of these, and may influence which associations are detected. In brief, the results obtained by this study go to confirm that road traffic noise in a large city is an important risk factor for many diseases, including PD, which would not appear to be related, in the short term, to chemical pollutants emitted by vehicles. The fact that the associations found between road traffic noise and PD was especially evident for values below the WHO guideline threshold for diurnal noise underscores the need for a review and update of these thresholds. The main strength of this analysis is that the statistically associations with noise levels exits with the three variables of PD-morbidity variables considered. This fact reinforces the non-spurious associations. From the standpoint of prevention, the results of this paper indicate the need for two distinct and complementary forms of action: firstly, at a public administration level, implementing the necessary measures to reduce noise levels in Madrid, and secondly, at a personal level, limiting PD-sufferers’ exposure to road traffic noise, whether at home or in places to which they have been admitted. These measures would result in a lower PD-related demand for health care and, by extension, a decrease in the high economic burden associated with PD.4 Among the future lines of research it would be advisable to carry out cohort studies to identify traffic noise as an etiological and non-exacerbating factor of the symptoms of the PD. Recent research in cohort designs is suggesting that traffic noise may be involved in the etiology of some neurodegenerative diseases such as Parkinson disease, Alzheimer disease and dementia. But not that at short term environmental factors can exacerbate the symptomatology of this disease. The research presented here is a novel study based on time series that establish at the short term a statistic association between traffic noise and Parkinson disease. The results obtained go to confirm that traffic noise in a large city is an important risk factor for Parkinson disease. This paper presents independent research and results. The views expressed are those of the author(s) and not necessary those of the Instituto de Salud Carlos III. C. Linares designed the study and directed its implementation, including quality assurance and control. P. Martínez-Martín helped conduct the literature review and prepare the Methods and the Discussion sections of the text. C. Rodríguez-Blázquez helped conduct the literature review and prepare the Methods and the Discussion sections of the text. J. Forjaz helped supervise the field activities and designed the study's analytic strategy. B. Vázquez Quiroga helped supervise the field activities and designed the study's analytic strategy. R. Carmona helped supervise the field activities and designed the study's analytic strategy. C. Ortiz helped supervise the field activities and designed the study's analytic strategy. J. Díaz designed the study and directed its implementation, including quality assurance and control. This study was funded by a “Miguel Servet type 1” grant: SEPY 1037/14 and a FIS Project ENPY 1001/13 from the Carlos III Institute of Health. European Environmental Agency Environmental and human health. EEA Report no. 5/2013. Report EUR 25933 EN. Luxembourg; 2013. Ruido y salud en Madrid. C. Rodríguez-Blázquez, M.J. Forjaz, L. Lizán, et al. Estimating the direct and indirect costs associated with Parkinson's disease. S.L. Kowal, T.M. Dall, R. Chakrabarti, et al. The current and projected economic burden of Parkinson's disease in the United States. C. Linares, P. Martínez-Martín, C. Rodríguez-Blazquez, et al. Effect of heat waves on morbidity and mortality due to Parkinson's disease in Madrid: a time-series analysis. V. Bellou, L. Belbasis, I. Tzoulaki, et al. Environmental risk factors and Parkinson's disease: an umbrella review of meta-analyses. K. Wirdefeldt, H.O. Adami, P. Cole, et al. M.T. Baltazar, R.J. Dinis-Oliveira, M. de Lourdes Bastos, et al. Pesticides exposure as etiological factors of Parkinson's disease and other neurodegenerative diseases – a mechanistic approach. M. Chin-Chan, J. Navarro-Yepes, B. Quintanilla-Vega. Environmental pollutants as risk factors for neurodegenerative disorders: Alzheimer and Parkinson diseases. B. Ritz, P.C. Lee, J. Hansen, et al. Traffic-related air pollution and Parkinson's Disease in Denmark: a case-control study. A. Recio, C. Linares, J.R. Banegas, et al. Road traffic noise effects on cardiovascular, respiratory and metabolic health: an integrative model of biological mechanisms. A.M. Hemmerle, J.P. Herman, K.B. Seroogy. Stress, depression and Parkinson's disease. J. Díaz, R. Carmona, I.J. Mirón, et al. Geographical variation in relative risks associated with heat: update of Spain's Heat Wave Prevention Plan. A. Tobías, J. Díaz, M. Sáez, et al. Use of Poisson regression and box Jenkins models to evaluate the short-term effects of environmental noise levels on health in Madrid, Spain. Le proportion de cas attributable en santé publique: definition(s), estimation(s) et interpretation. V. Arroyo, J. Díaz, C. Ortiz, et al. Short term effect of air pollution, noise and heat waves on preterm births in Madrid (Spain). Traffic noise and adverse birth outcomes in Madrid: a time-series analysis. Recio A, Carmona R, Linares C, et al. 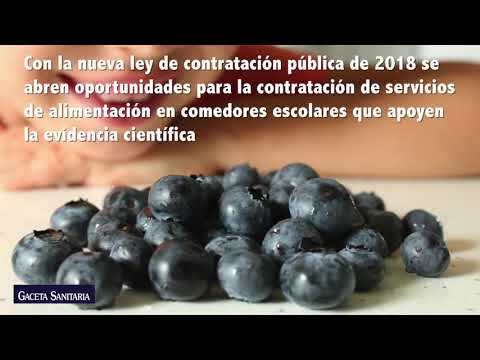 Efectos del ruido urbano sobre la salud: estudios de series temporales realizados en Madrid. Instituto de Salud Carlos III. Escuela Nacional de Sanidad. Madrid; 2016. NIPO: 725-16-020-6. D. Fecht, A.L. Hansell, D. Morley, et al. Is there evidence that environmental noise is immunotoxic?. C. Linares, D.R. Culqui, R. Carmona, et al. Short-term association between environmental factors and hospital admissions due to dementia in Madrid. C. Wang, H.S. Ko, B. Thomas, et al. Stress-induced alterations in parkin solubility promote parkin aggregation and compromise parkin's protective function. Selective neuronal vulnerability in neurodegenerative diseases: from stressor thresholds to degeneration. S.J. Chinta, C.A. Lieu, M. Demaria, et al. Environmental stress, ageing and glial cell senescence: a novel mechanistic link to Parkinson's disease.